From the classic vanilla, strawberry or chocolate to the most original tastes (burger or oyster-flavoured chips, yogurts that taste like tarte tatin…), each of the aromas the food industry puts on the shelves of our supermarkets has been composed by someone whose job it is to make them. There are few of these special perfumers who address not our nose but our mouths: only a few dozens flavorists work in France today. 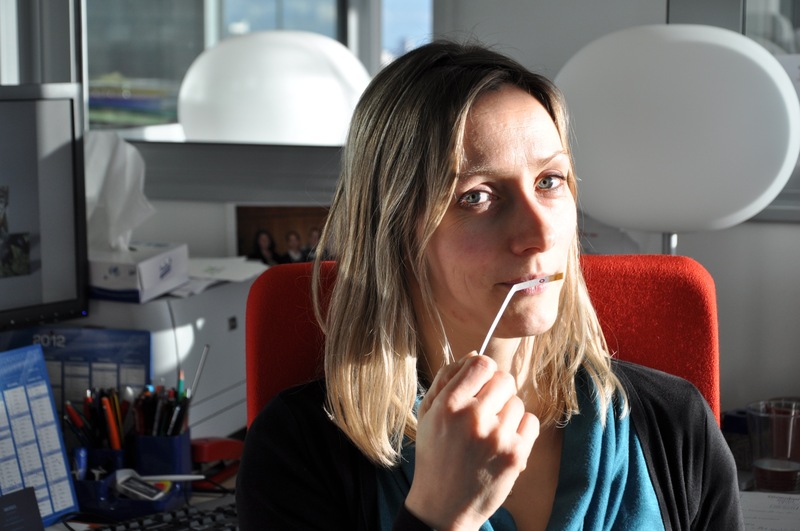 In Argenteuil, in the outskirts of Paris, I met Christelle Noël, a flavorist for Givaudan, one of the world’s leading companies in creating fragrances and flavors. How did you decide to become a flavorist? I have always been curious about taste and smell. As a child, I already felt the urge to taste and to try everything, the need to put a name on the different smells my nose encountered. It was a time when I ate lots of candy and, when I learned that a strawberry candy didn’t actually have strawberry in it, I was very intrigued. In high school, when a guidance counsellor revealed to me that flavorist was a job, all my studies focused towards this goal. For me, it was perfectly clear that this was what I wanted to do! After I graduated from high school, I did two years of chemistry-biochemistry at the University of Versailles, then I enrolled at the ISIPCA in Versailles, too, to study food flavors through a two-year sandwich course from which I graduated with a Master of Sciences and Techniques. After this, I started working for the flavors company WILD in Berlin. This rewarding period allowed me to understand the cultural, gustatory and culinary difference one must take in account when creating flavors. Germany is a country that snacks a lot, where France spends more time cooking. It isn’t just hearsay! There, lots of meals are made of bread, cheese and pork products. And I also remember how surprised I was to see children eating peppers as a snack! Besides, Germany has many seasonal specialties that we’ve almost never heard of in France: spiced yogurts, Glühwein (hot wine)… Anyway, there are real differences, even in the way we perceive foods: in Germany, if I talk about a strawberry, it will be cooked, slightly jam-like, whereas in France it will be more green. Meaning that, depending on the country we stand in, a same food can be perceived differently? Yes. In the same way, a vanilla according to the German will be creamy, a little buttery, whereas here, we like the pod, the Madagascar vanilla facet. Two countries, even if they are neighbours, can be very different in their food habits and in their perception of foods. Hence it is very important to know your market. Which countries do you work for? France, mostly, but we are a Europe/Africa/Middle East type of structure, so I also work for clients abroad. Can you tell me exactly how a flavour is created? It is a long process. At the very beginning, the clients – brands from the food industry – send their briefs to our commercial teams, which are then studied internally by the “Local Librarians”. Depending on the projects, some will be processed by our “Food Technologists”, others by flavourists depending on their specialization and which client it is… As for me, I am specialized in sweets and I work mostly for dairy, biscuits and candy. But we also make drinks and snacks. When did you specialize in sweets ? As for me, the decision was taken at my first job, in Berlin. It was a sweet flavorist position and this is how I got specialized. I had more affinities with sweet anyway. Some flavorists will go from one to the other, but it is a difficult thing because sweet and salty are two very distinct worlds and each have different raw materials. Can one go as far as specializing in one single flavour? We can be highly specialized, but we try not to be put ourselves into boxes too much. This said, of course experience brings knowledge and having an expertise is always a plus. Do you need a “special” palate to do this job? Not special, but trained. Here, everyday, we smell and taste. You have to have a nose, because being a flavorist requires that you know and smell your raw materials before making formulas and putting them in a finished product in order to finally taste them. Taste, in reality, is only sour, bitter, sweet, salty and umami. When we “taste” a food, we actually smell through retro-olfaction : when we exhale, the taste of what we have in our mouth appears to us. This is why we lose our taste when we have a stuffy nose! But you’re right, a flavour in itself isn’t a taste, but rather a smell. Does this mean that you work with the same raw materials as perfumers? For some, yes, but the legislation regulating their use varies because they are made for two different applications: perfume is meant to be put on skin, flavours to be ingested. We have some ingredients in common with them, but it is a small proportion. Let’s go back to the creative process: what does the brief you receive state? Does this actually influence the way you create? I mean, will a strawberry for an 8-year-old be that different from a strawberry for a 45-year-old woman? For a child, a strawberry will have a strong, intense taste, we’ll even add some raspberry or vanilla notes to underline its candy aspect. For an adult woman, we’ll look for the fresh sensation of a fruit that has just been picked. Do you think of your job as a creative job? Maybe not as much a perfumer, in the sense that a strawberry will always be a strawberry. But it is up to us to bring our personal touch, and experience teaches us how to bring joy to the tastebuds! What happens once the flavor is created? Each trial is smell, then tasted after its incorporation into the base for which it is meant – a base we call the “matrix”. This is a crucial step because once the flavour is applied to the finished product, it doesn’t necessarily have the same rendering as what we smelled. Numerous factors such as the percentage of fat, of sugar, acidity or the possible cooking of the product will influence the perception of the flavour. This parameters will change the rendering, if not completely modify the flavour’s profile by underlining this note or that note. So we taste systematically, and that is why it is very important for us to have the client’s final matrix when we create a flavour. What are your clients’ most recurrent demands? We’re very often asked to make natural flavours, this has been the main trend for the past few years. It is important for the client to be able to label its product as such on the package. Do you work mostly with natural raw materials, then? Because the client wants it, yes. It is what the consumer wants, too. But this natural trend, as of today, is rather specific to the old continent. But you also wok with synthetic materials, just like perfumers, right? Yes, but we call them the “identical to nature”. They are made through chemical synthesis, but they are chemically identical to a substance that exists in nature. Which role do synthetic materials play in these “identical to nature” ingredients? 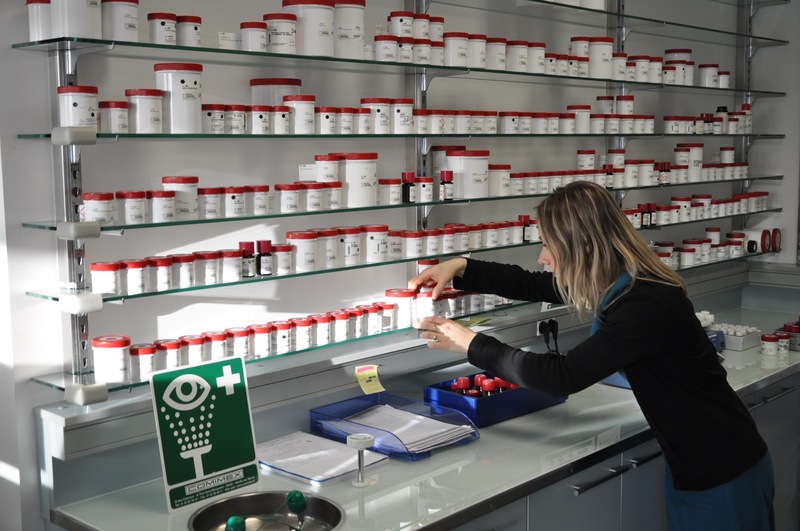 They allow us to reduce the cost, firstly, to bring aromatic intensity, and to meet every demand. Because if there had to be vanilla extract in every vanilla product consumed in the world, well, there simply wouldn’t be enough vanilla! What percentage of your palette do natural raw materials represent? How many raw materials do you work with? On a daily basis, several hundreds. 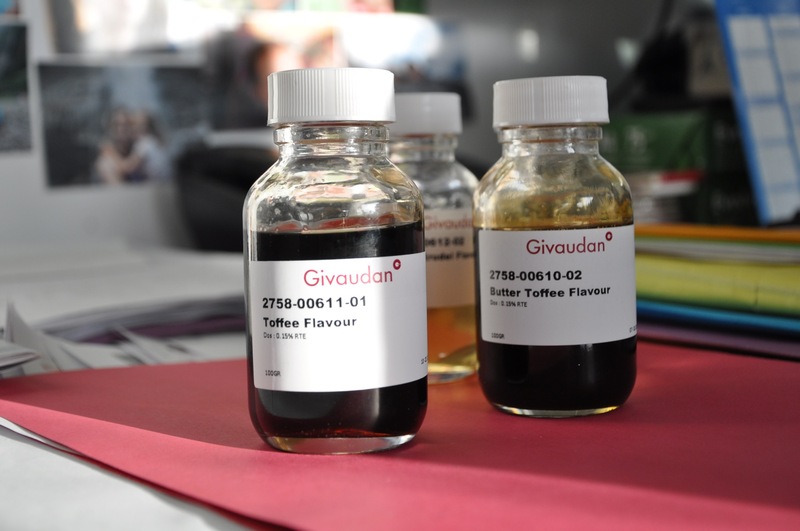 At Givaudan, perfumers work with roughly 1500 raw materials and flavourists have a larger palette of about 5000 raw materials. Just like perfumers, we must know all the technical properties of our materials, but also the way they interact with the different bases we’ll end up incorporating them into. Is the realism of a flavour important or do you sometimes get asked to do otherwise? So you have never created a taste that does not exist in nature? No, except maybe in the “candy” theme, where there is more freedom. Don’t you ever get tired of the strawberry? No, because you can create endlessly: it will never be the same strawberry! Some are juicy, other jam-like, some taste of candy and others of vanilla… Sometimes the client will even ask us to go for more “achenes” (the dots on the strawberry)… Besides, the applications vary so no, I never get bored! What are the craziest flavours you have ever had to create? For the Middle-East, I did a rose flavour. That’s not common! I also did a stracciatella flavor recently. And some clients ask for mixes of fruits and flowers: I did apricot-orange blossom combinations, it is very interesting and it allows us to discuss with our perfumer colleagues. Are there ingredients you use for only some countries but not for others? Have you ever had to create notes you didn’t know? Does cherimoya ring a bell? Well for me it does, now! It is a green fruit, with watery taste, kind of like apple or unripe pear or dragon fruit. We sometimes get asked for little-known flavours, which needs us to make some research work. In these cases, we analyze them. You really can put a fruit through chromatography? Yes, of course. But not as in putting the fruit right into the machine! We have a service that will make an extract, a sort of highly-concentrated juice, which will then be studied through chromatography. See, when I tell you that you learn everyday with this job.